The Stanley Cup made an appearance in three different Northwest Indiana locations yesterday. We caught the festivities at the Midwest Ice Rink in Dyer and had a chance to talk with new Washington Capitals coach Todd Reirdon about how bringing the cup to the region isn't the only hockey related plan Reirdon has for Northwest Indiana. 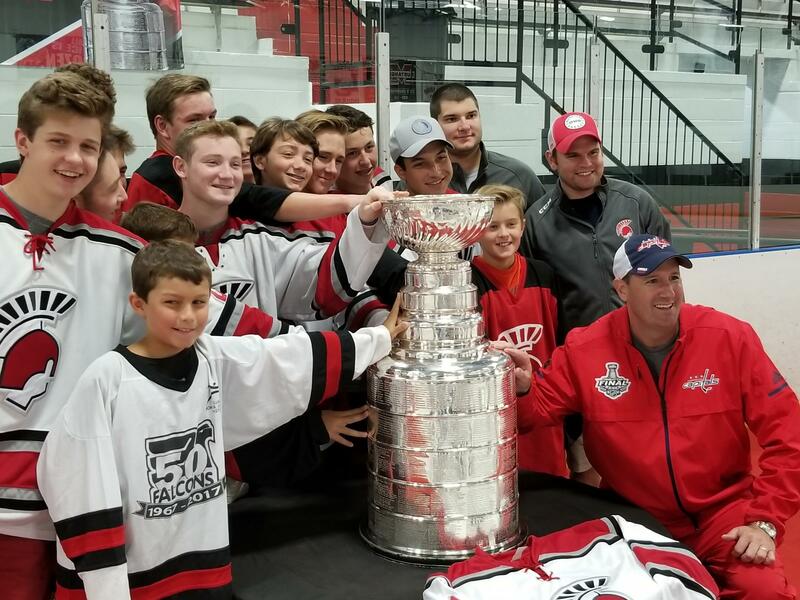 Washington Capital coach Todd Reirdon (he's wearing the red jacket on the right) brought the Stanley Cup to the region yesterday. Washington Capital coach Todd Reirdon has lived in the region and brought the Stanley Cup to the area yesterday.